Sometimes giving is easy. Giving of my excess to someone who needs something is easy. I don’t even have to think about it. Why wouldn’t I give something I don’t need to someone who needs it? What I find really hard is giving when I need something, or giving something I know I will need later. Giving money when I am broke. Giving food when I barely have enough. Giving time when I am so busy. Giving to someone emotionally when I just don’t have anything left in my emotional tank. That’s hard. So often that is what God asks of us. The stories in the Bible about giving are not about people who gave when they had a lot to give. It’s about people who gave when they had very little. Sacrificial giving. I don’t want to do that. I don’t want my giving to hurt me. Of course not. But God asks us to. Why? So that in our lack He can show himself powerful. There have been a few instances of this recently in my life I wanted to share. 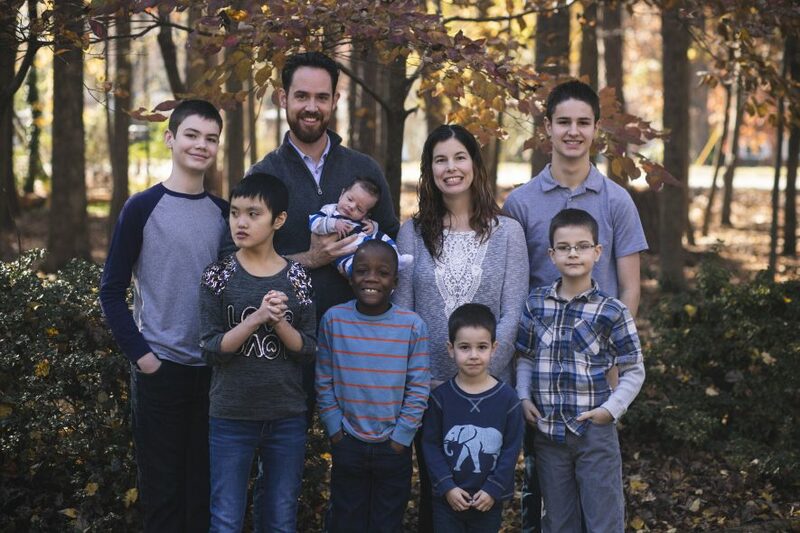 We have five boys, now that our youngest was born just a month ago. One would assume we are up to our neck in baby boy clothes at this point right? Wrong. Why? Well, twice now God has asked me to give away our baby clothes to someone who needed them at the time. After Sam was born, our oldest, there was a missionary couple who visited us and were expecting a baby boy. God told me to give them all of Sam’s clothes he had grown out of. Not some of his clothes, all of them. My human self knew that we might someday have another boy in our family and would need those clothes, but we gave them to the couple who needed them. You know what? When our second son was born I was given clothes by a dear friend of mine for him. Our need was met, because we had been obedient to God when he asked us to give. The same thing happened a few years later. After our fourth son was born, again God asked me to give all his clothes to a young single mom who desperately needed clothes for her baby. I did. Then two years later we found ourselves pregnant with our fifth boy and didn’t have any clothes for him. I didn’t worry about it. I knew God would provide. And sure enough this week God provided all the clothes we need for the next year for our baby son and in the right seasons for his age! God doesn’t just do things half way, He provides exactly what we need when we need it, down to the smallest detail. These sorts of things grow my faith. I know God will provide, but in some situations it seems harder to believe He will come through. When we God pregnant with our newest son, there was a word spoken over him, before we knew if the baby was a boy or a girl, that he would bring healing and joy to our situation. For those of you who don’t know, we adopted a daughter from Hong Kong last year. She is 12 years old and has severe intellectual disability. In addition to that, she has had a very difficult time attaching to our family, me specifically. It has been a very hard year, and I really didn’t know how this baby would make a difference in the situation, but God said he would. In my humanness, I thought God would give us a baby girl to fulfill this desire for a daughter that did not happen when we adopted our daughter. That is the only way I could see this situation getting healed. Well, we had a boy instead. But what has happened since he was born is that our daughter is just beginning to open up more to me as her mother. This week she allowed me to shower and dress her without hitting me, which is a big deal at our house. She has been very combative with me for the past year and at times I could not get within a few feet of her without her hitting me. I feel like the door is just cracking open a little for us to have some sort of relationship. God is healing this situation. I don’t know if it has anything to do with our baby son being born or not, but I am thankful for it none the less. God fulfills his promises when we are faithful to give what he asks of us. We long ago gave him this situation with our daughter and when he told his to have our son, we were obedient, although it seemed crazy to us at the time. He knew what he was doing. If you give what He is asking of you to give, know that He will provide for your needs. I am so happy to hear that your relationship with Elizabeth is showing some improvements. I think about her all the time and am glad to finally get an update. How is she with the new baby? She doesn’t really seem to notice him much.